T.E. Lawrence : Do you think I'm just anybody, Ali? Do you? Sherif Ali : There is the railway. And that is the desert. From here until we reach the other side, no water but what we carry with us. For the camels, no water at all. If the camels die, we die. And in twenty days they will start to die. T.E. Lawrence : There's no time to waste, then, is there? Auda abu Tayi : I am Auda abu Tayi! Does Auda serve? Auda abu Tayi : Does Auda abu Tayi serve? Auda abu Tayi : [ to Lawrence ] I carry twenty-three great wounds, all got in battle. Seventy-five men have I killed with my own hands in battle. I scatter, I burn my enemies' tents. I take away their flocks and herds. The Turks pay me a golden treasure, yet I am poor! Because *I* am a river to my people! Auda abu Tayi : No. Auda abu Tayi : No! Auda abu Tayi : Thy mother mated with a scorpion. General Allenby: What about your Arab friends? What about them? T.E. Lawrence: I have no Arab friends. I don't want Arab friends ! General Allenby: What in Hell do you want, Lawrence? T.E. Lawrence: I told you! I just want my ration of common humanity. Mr. Dryden: Nothing. Sorry I interrupted, Sir. 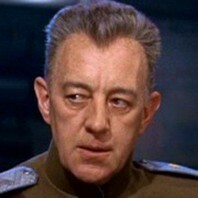 General Allenby: [subdued] Quite all right. Thank you, Mr Dryden. Look, why don't we, er... There's blood on your back. Do you want a Doctor ? Jackson Bentley: [on his interest in Lawrence and the Arab Revolt] I'm looking for a hero. Prince Feisal: Indeed, you do not seem a romantic man. Jackson Bentley: Oh, hardly THAT, sir. But to show it in its more... adventurous aspects. Prince Feisal: You are looking for a figure that will draw your country towards war? Jackson Bentley: All right, yes. Prince Feisal: Lawrence is your man. Tafas: [talking of Britain] Is that a desert country? T.E. Lawrence: No: a fat country. Fat people. Tafas: You are not fat? T.E. Lawrence: No. I'm different. T.E. Lawrence: I cannot fiddle but I can make a great state of a small city.